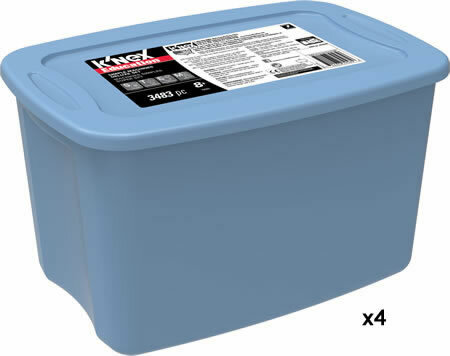 Pack of 4 storage trays for your K'NEX or Kid K'NEX parts. 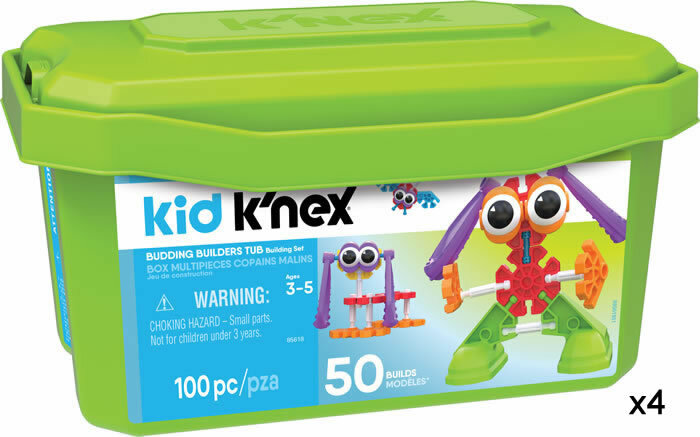 As used in many of the larger K'NEX education sets. Ideal for use at home or at school. Dimension of each tray is approx. 43cm x 31cm x 11.5cm (17 x 12 x 4.5 inches). Includes removable semi-transparent lid. New and unused. 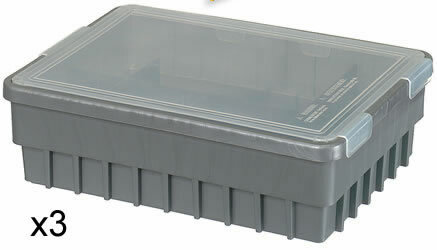 However, the lids or trays may have stickers on, similar to the one shown in the photo. Sold only as a pack of 4. Due to the weight and size of this pack, shipping is available by Express delivery only. Dividers are also available for this tray.